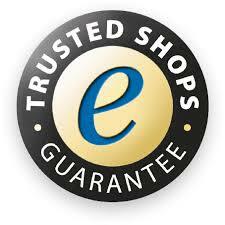 Trusted Shops GmbH is Europe's leading service provider for secure online shopping. This talk will explain how we achieve this by certifying a shop's trustworthiness and how we help to counter information asymmetries consumers face by collecting verified reviews. It will include examples of fraudulent or "fake" shops to illustrate some of the problems participants in this business encounter. An interesting subset of these problems are conflicts between technical implementations and human behavior when trying to establish trust between business partners and how Trusted Shops tries to find a balance between their interests. The importance of online ratings on sales is widely acknowledged. Firms need to find ways of increasing the number of ratings and rating scores, but how they can achieve this effectively is less well established. We have analyzed the impact of an unconditional gift on customers’ rating behavior in an online field experiment. Contrary to prevalent advice, our results suggest that providing a gift is not necessarily beneficial. Younger customers are significantly less likely to rate when exposed to an unconditional gift. Regression analysis reveals that age serves as a moderator and older customers even respond slightly positive to a gift. Having detected a negative effect of gifts on rating behavior provides first indicative evidence of a possible crowding out of intrinsic motivation in the context of online ratings. This has direct implications for practitioners considering the usage of gifts to elicit online ratings. In Internet transactions, customers and service providers often interact once and anonymously. To prevent deceptive behavior a reputation system is particularly important to reduce information asymmetries about the quality of the offered product or service. In this study we examine the effectiveness of a reputation system to reduce information asymmetries when customers may make mistakes in judging the provided service quality. In our model, a service provider makes strategic quality choices and short-lived customers are asked to evaluate the observed quality by providing ratings to a reputation system. The customer is not able to always evaluate the service quality correctly and possibly submits an erroneous rating according to a predefined probability. Considering reputation profiles of the last three sales, within the theoretical model we derive that the service provider’s dichotomous quality decisions are independent of the reputation profile and depend only on the probabilities of receiving positive and negative ratings when providing low or high quality. Thus, a service provider optimally either maintains a good reputation or completely refrains from any reputation building process. However, when mapping our theoretical model to an experimental design we find that a significant share of subjects in the role of the service provider deviates from optimal behavior and chooses actions which are conditional on the current reputation profile. With respect to these individual quality choices we see that subjects use milking strategies which means that they exploit a good reputation. In particular, if the sales price is high, low quality is delivered until the price drops below a certain threshold, and then high quality is chosen until the price increases again.